Nelson goes into training! â€˜Help!â€™ Oh dear! Itâ€™s Rhodri, one of the overfed rats at the St Mary Dairy in Pont-y-cary, and heâ€™s stuck up a drainpipe. Rhodriâ€™s not the only one whoâ€™s been packing on the pounds. 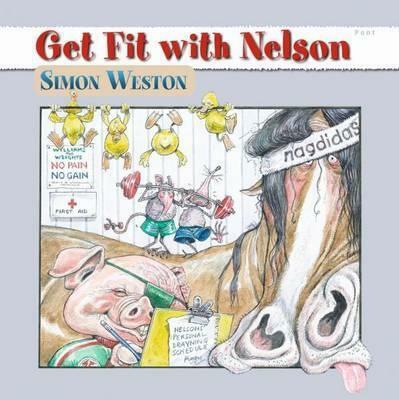 Nelson, always a â€˜well-builtâ€™ carthorse, has also recently moved into the XXXXXXXXXXXXL league! But heâ€™s got a date with Brecon, the lovely presenter at Hoarse-FM, to lead out the Welsh team at the Millennium Stadium. Itâ€™s time to get fit! Hay ho . . .